Posted about this a couple days ago in the general off-topic thread, but I thought I'd stick it up here as well. Last week I found this Super 8 film reel for a few dollars at an antique store in Newport. I'll try to capture it and post it here once I'm done. Quite an exciting find for me. I'm sure KingsIslandPR may be interested in this. Can't wait to see it. There's quite a bit of footage left to record, but unfortunately my camera battery died on me. So in the meantime, I have about 2.5 minutes of the film rendering and uploading as we speak. There's also some really nice footage of Winnie Witch's Cauldrons - including Winnie herself spinning atop the ride, and Screamin' Demon in the background. Interestingly, the few photos of the ride floating around show the cauldrons as being black with flames - apparently when the ride was new, they were pastel-colored, resulting in a "Winnie Witch's Teacups" of sorts. Well if the Scremin Demon is in it, definitely not 1972. My mistake - it's actually the "Scooby Doo" coaster in the background, not Screamin' Demon. That's fantastic! Thanks for sharing. Good stuff. I think the ride with sails might be Gulliver's Rub-A-Dub. Yeah, sorry about the quality. I'm not sure how to get rid of the frames being split into two parts like that, it may be an issue with the actual film itself. Once I get it transferred, it should look considerably better. Which store in Newport was this? That would make for the most perfect commercial for Kings Island...the music and everything. It would just fade into the Kings Island logo at the end with something like "entertaining you since 1972". I love that "Yes meets early Chicago" soundtrack! Beautiful. Thanks for posting this! I think MDMC01's right about the Gulliver's Rub-a-Dub. Sin City Antiques. I may head back there this week to see if any of the other reels are worth buying. Watched the rest of the reel, and it features some pretty good shots of Wheel Of Fortune and the Marathon Turnpike, as well as a short Enchanted Voyage cameo. Unfortunately, I've somehow put the reel on backwards and don't exactly know how to "rewind" it properly...will work on that when I return Friday evening. It's cool man. No apology necessary. Just to see KI Super 8 footage took me back in time. Where's Marty McFly when I need him. Here's all the attractions featured and at what times. 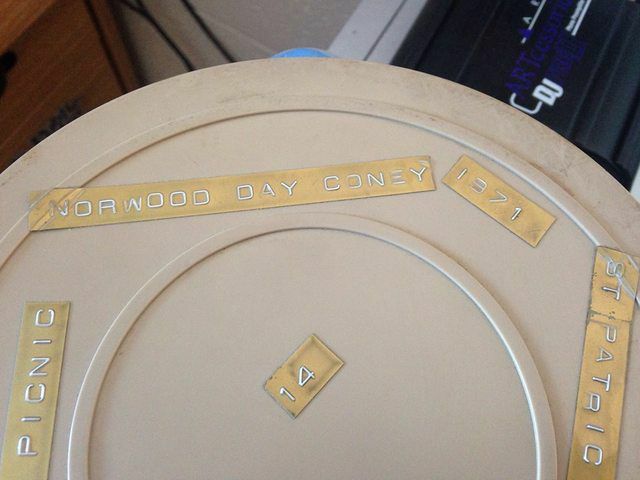 Definitely a great find, and the 1972 date on the reel seems accurate (at the very latest it's 1974, based off Winsome Witch's Caldron having colored cauldrons. They were black by 1975). EDIT - The cauldrons were actually repainted in 1974, so this footage is for sure from 1972 or 1973. I'm assuming that the date on the front is accurate though. Definitely a great find, and the 1972 date on the reel seems accurate (at the very latest it's 1974, based off Winsome Witch's Caldron having colored cauldrons. They were black by 1975). Thanks - much appreciated. The red building at 1:30 seems to be the Sky Ride loading station that is currently a Peanuts souvenir shop, but I can't tell what the various shapes and structures around it are - perhaps part of the pentagonal Funky Phantom/Squiddly Diddly/Kikky Kangaroo/Motor Mouse structure? ^That's exactly what they are. The ones shown are the structures are for Funky Phantom (Linus' Beetle Bugs) and Squiddly Diddly (Boo-Boo's Baggage Claim, removed after 2005). ​I actually have a Super 8 MM film projector that I am working on at the moment (I cannot get the bulb changed out). May head on over to NewPort for some of these old films. I love to see any footage of Kings Island, thank you! The future (and the past) looks bright! This is awesome! So cool to see the park from that time. I was only a junior at King High School back then, which was my first year working at the Park! Oh how I had really nice thick red hair back then!!! Resurrecting this thread...I still have both reels and am preparing to get them digitized. 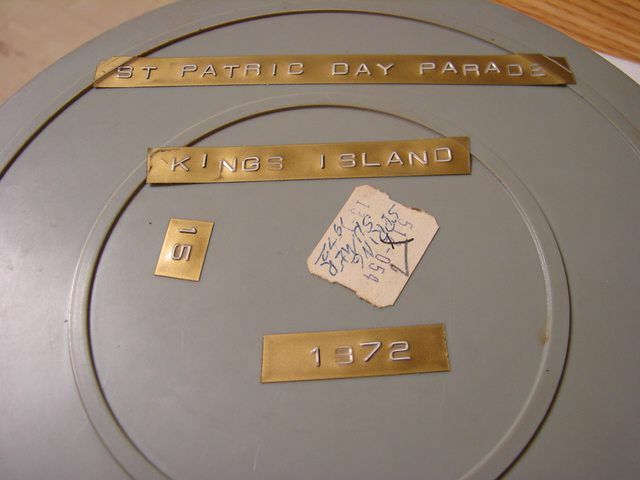 Unfortunately more than half of the Coney reel is filled with St. Patrick's Day Parade and family picnic stuff. Whoever the camera operator in question was sure had a thing for mini skirts. Kind of creepy actually. If it’s stuck inside, you could use an X-ray machine. Costco has some cheap film transfer services. I haven’t tried them yet, but I want to.